In Koh Kim Teck v Credit Suisse AG, Singapore Branch  SGHC 52 (“Koh Kim Teck”), the High Court was asked to determine in a striking out application, the issue of whether a separate and independent tortious duty of care existed between the defendant (“the Bank”) and the plaintiff, who was an individual (“Koh”). The Bank had a contractual relationship with a company (“SSL”), of which Koh was the beneficial owner, but had no contractual relationship with Koh. The case raises, but does not conclusively address, interesting issues of whether “reverse piercing” of the corporate veil is allowed and whether the principle of reflective loss, which prevents a shareholder from bringing a claim, applies. The facts may be briefly summarised thus. The Bank persuaded Koh to open a private banking account with it via a trust company (“SSL”). Koh agreed and SSL was duly incorporated by the Bank. Its sole director and sole shareholder were agents and/or nominees of the Bank, which thus had full control of SSL. Koh was the ultimate beneficial owner of the shares in SSL. An account (“Account”) with the Bank was opened in the name of SSL. Koh supplied funds into the aforesaid Account. The relationship soured when several investments went south and Koh sued the Bank, alleging that the Bank had owed him a tortious duty of care which had been breached in relation to the advice provided by the Bank. The Bank applied to strike out Koh’s statement of claim (“SOC”) under Order 18 rule 19(1) of the Rules of Court (Cap 322, R 5, 2006 Rev Ed). At first instance, the Assistant Registrar dismissed the Bank’s application. On appeal before Aedit Abdullah JC, the Bank argued that: (a) Koh’s claim discloses no reasonable cause of action as he was effectively trying to “reverse pierce” SSL’s corporate veil; and (b) Koh’s claims are frivolous, vexatious and/or otherwise an abuse of process for they are attempts to circumvent the contractual framework between SSL and the Bank: see . Significantly, the Bank dropped an argument it ran at first instance: that Koh’s losses mirror SSL’s losses in the Account and are not recoverable under the law of SSL’s incorporation, ie the law of the British Virgin Islands, due to the “no reflective loss” principle. The court analysed the matter with reference to three main issues. First, the court considered whether Koh had pleaded that the Bank owed him a separate and independent tortious duty of care. The court found that on a plain reading of the SOC, the material facts necessary to establish such a duty had been pleaded: see -. Secondly, the court analysed whether it was impossible for a separate and independent tortious duty of care to arise. The court applied various legal principles laid down by the Court of Appeal (Spandeck Engineering (S) Pte Ltd v Defence Science & Technology Agency  4 SLR(R) 100 (CA); Anwar Patrick Adrian and another v Ng Chong & Hue LLC and another  3 SLR 761 (CA) at ; Animal Concerns Research & Education Society v Tan Boon Kwee  2 SLR 146 (CA) at ) and held it was arguable that such a duty had arisen on the basis of the Bank’s assumption of responsibility and that the underlying contractual arrangements did not necessarily preclude such an arrangement from arising. It is worth noting that the court at - accepted the Defendant’s contention that the contractual framework (in particular the express disclaimer of responsibility) was relevant in determining the existence and scope of a duty of care but refused to strike out the Koh’s claim on this ground as this issue was best resolved at trial. Thirdly, the court briefly examined the issue of “reverse piercing” and whether Koh’s “alter ego” averment was obviously unarguable or unsustainable. The court noted that Koh had averred in his SOC that SSL was his nominee and/or alter ego in its dealings with the Bank, and that Koh submitted that this was an alternative claim to his personal claim (see -). The court noted that “reverse piercing” was a situation where “it is not a third party who is seeking to hold a shareholder or controller of the company liable for the company’s liabilities. Rather, the shareholder himself asks the court to disregard the separate legal personality of the company, so as to enable him to pursue claims against a third party that had dealt with the company”: see . The court referred to an academic article by Jeff HY Chan (“Should "reverse piercing" of the corporate veil be introduced into English law?” Comp Law 2014, 35(6), 163-171) and noted that the area of law was unsettled and that there were no local cases dealing with this issue. Accordingly, the court held that the legal issue of “reverse piercing” requires serious argument and cannot be said to be unarguable or unsustainable: see . In the circumstances, the court dismissed the Bank’s striking out application. While the decision deals mainly with the application of negligence law principles, there were two interesting tangential legal issues which merit fuller discussion. It should be noted that although a conflict of laws issue arose on the facts, the parties did not address the same in these preliminary proceedings. For the purposes of this note, we have discussed the said issues from a Singapore law perspective. First, the “no reflective loss” principle, although dropped during the Registrar’s Appeal, is in the authors’ view significant. Generally, the property of a company cannot be treated at law as also the property of the shareholders, even if there is only one shareholder (Macaura v Northern Assurance Co Ltd  AC 619 (HL) at 626, per Lord Buckmaster; Short v Treasury Commissioners  1 KB 116 at 122, per Evershed LJ). Loss of a company’s assets is not a loss of the shareholder. The shareholder’s loss is merely, at most, a decline in value of his shares. The “no reflective loss” principle bars “a shareholder’s personal action to recover a reduction in the value of his shares” and only applies “when there are overlapping claims by both the company and the shareholder against the same defendant” (Pearlie Koh, “The Shareholders Personal Claim Allowing Recovery for Reflective Losses”  23 SAcLJ 863, 865 (“Pearlie Koh”) at ). It is accepted into Singapore law that “[a] claim will not lie by a shareholder to make good a loss which would be made good if the company's assets were replenished through action” and the principle includes “all other payments which the shareholder might have obtained from the company if it had not been deprived of its funds” (Johnson v Gore Wood & Co  2 AC 1 (HL) (“Johnson”) at 35, 66, per Lord Bingham and Lord Millett respectively, approved in Townsing Henry George v Jenton Overseas Investment Pte Ltd (in liquidation)  2 SLR(R) 597 (CA) (“Townsing”) at -). The rationale is that the shareholder’s loss merely “reflected the diminution of the company’s assets” (Johnson at 66, per Lord Millett). The policy reasons for the principle are to: (i) prevent double recovery against a same defendant; and (ii) protect the company creditors (Johnson at 62, per Lord Millett, approved in Townsing at ; see also Pearlie Koh at -). It is significant that the broad factual matrix in Koh Kim Teck is similar to that in Johnson and Diamantis Diamantides v JP Morgan Chase Bank and others  EWCA Civ 1612 (CA) (“Diamantis”), viz a shareholder’s claim on the basis of a duty of care owed to him independent of that owed to the company. In both English cases, the issue of reflective loss was central to denying the claim. In Diamantis, Moore-Bick LJ at  emphasised that the claimant there brought his “unique case” precisely to circumvent the “no reflective loss” principle. However, it should be emphasised that “a shareholder ... is not debarred from recovering damages because the defendant owed a separate and similar duty of care to the company, provided that the loss suffered by the shareholder is separate and distinct from the loss suffered by the company” (Johnson at 51, per Lord Hutton). Hence, the characterisation of loss is significant as to whether the “no reflective loss” principle would bar a claim. Is the “no reflective loss” principle applicable in this case (assuming that Singapore law applies)? In the authors’ view, this would depend on the characterisation of the loss and the monies in the Account. If the monies provided by Koh into the Account are characterised as Koh’s assets, not SSL’s, then it could be argued that the loss was Koh’s personally and not SSL’s and the issue of reflective loss would not arise. Prima facie, it could be argued that SSL, being a BVI trust company, was a trustee holding assets on behalf of Koh, and accordingly that SSL’s assets were beneficially owned by Koh. However, on the facts (see ), it appears that the trust was in respect of the shares in SSL, ie the nominee shareholder is the trustee holding those shares on behalf of Koh. It does not follow that SSL would necessarily be a trustee holding its assets on behalf of Koh. Alternatively, the money in the Account could be characterised as SSL’s since the Account was set up in SSL’s name (see ), eg analysed as an investor pumping funds into the company, or a commercial loan. Accordingly, the loss would be SSL’s and not Koh’s. Thus, Koh’s loss would only be characterised as a diminution in the value of the SSL shares and would only be a reflective loss which is prima facie not claimable. 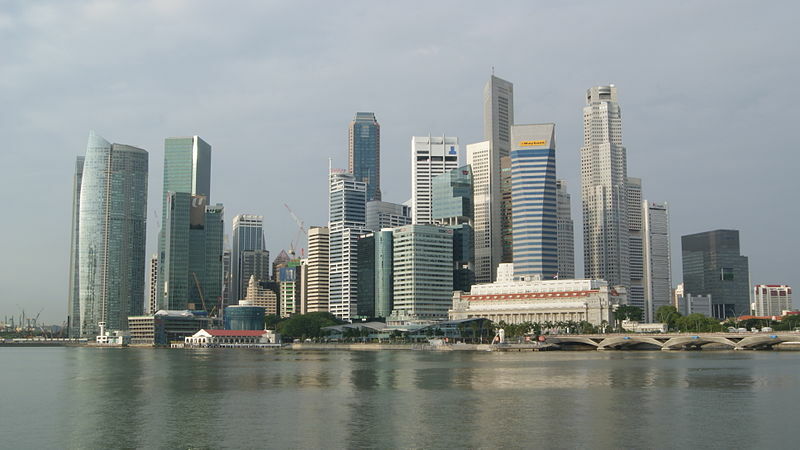 However even if this were the case, the position in Singapore, unlike the UK which eschews an absolute approach, appears to be that a shareholder may not be subjected to the principle if he could give an undertaking that the company will not also claim against the defendant and if the company had no other creditors or shareholders who might be prejudiced by the shareholder’s claim (Townsing at -; Hengwell Development Pte Ltd v Thing Chiang Ching  2 SLR(R) 454 (HC) at ). A third analysis is possible. Koh’s advance of funds into SSL’s Account could be characterised as assets held on trust by SSL. A resulting trust could have arisen given that voluntary payment was made to another person and (if it could be shown) there was a lack of intention to transfer beneficial ownership (Chan Yuen Lan v See Fong Mun  SGCA 36). Such a presumption of resulting trust was found to have arisen in respect of monies and other assets deposited into a joint-name investment account with a bank in the case of Aroso v Coutts & Co  1 All ER 241 at - (although the presumption was rebutted on the facts). Assuming this analysis is correct, it opens up the possibility of the beneficial owner of the assets mounting a tortious claim against a third party whose breach has caused loss to beneficial owner in respect of those assets (Shell UK v Total UK  EWCA (Civ) 180,  3 All ER 793 (CA)); one condition for such a claim is that the legal owner should be joined into the action to prevent double recovery. However, the reception of this English decision into Singapore law has not been considered. Our second comment on the case is with regard to “reverse piercing” or the “alter ego” argument. The court briefly considered the issue of whether reverse piercing was permitted. It is well-established that a company has a separate legal personality from its shareholders. The courts have traditionally been reluctant to pierce the veil and find that a director/shareholder is liable for the actions of the company. However, the two exceptions to this under Singapore law at present are: (i) sham/façade; and (ii) alter ego, viz that the company is merely the conduit for, or carrying on the business of, its controller (Alwie Handoyo v Tjiong Very Sumito  4 SLR 308 (CA) (“Alwie”) at ; Yeo Hwee Ying and Ruth Yeo, “Revisiting the Alter Ego Exception in Corporate Veil Piercing” (2015) 27 SAcLJ 177; the Singapore position should be reconsidered in the light of developments in the UK: Prest v Petrodel Resources Ltd  3 WLR 1 (SC) (“Prest”)). However as the court in Koh Kim Teck noted, the position in England and Singapore in respect of reverse piercing is uncertain and it is unclear if the courts will adopt the same test for traditional corporate veil piercing in determining the issue of reverse piercing. The courts have typically been averse to allow a shareholder to drop the corporate veil and obtain a benefit on the basis that he and the company are in effect the same (Woolfson v Strathclyde Regional Council  UKHL 5; Tunstall v Steigmann  2 QB 593; Macaura v Northern Assurance Co Ltd  AC 619 (HL); Thomas K Cheng, "The Corporate Veil Doctrine Revisited- A Comparative Study of the English and the U.S. Corporate Veil Doctrines" 34 B.C. Int'l & Comp. L. Rev. 329 (2011) at 372-375; cf DHN Food Distributors Ltd v Tower Hamlets London Borough Council  1 WLR 852, albeit doubted in Woolfson v Strathclyde Regional Council  UKHL 5, and rationalised in Adams v Cape Industries plc  1 Ch. 433 (CA) at 536; cf in the US context, Michael J Gaertner, “Reverse Piercing the Corporate Veil: Should Corporation Owners Have It Both Ways?” 30 Wm & Mary L Rev 667 (1989)). One plausible analysis is that there is no distinction between traditional veil piercing and reverse piercing. In this regard, the arguments for and against allowing reverse piercing (from policy and conceptual perspectives) have been discussed by more learned writers (Michael J Gaertner, “Reverse Piercing the Corporate Veil: Should Corporation Owners Have It Both Ways?” 30 Wm. & Mary L Rev 667 (1989); Jeff H Y Chan, “Should "reverse piercing" of the corporate veil be introduced into English law?” Comp Law 2014, 35(6), 163-171). In summary, Jeff H Y Chan considered the following arguments in favour of reverse piercing: (i) there is an overemphasis on the notion that limited liability is the only concern of the company as there are numerous other considerations for employing the company structure; (ii) it does not undermine investors’ expectations of limited liability exposure; (iii) it would be unduly harsh to deny reverse piercing and force the party seeking to reverse pierce to incur unexpected costs to recover a benefit when these unexpected costs could not be reasonably contemplated; and (iv) the strict adherence to traditional piercing fails to take into account the realities of group companies where the parent company is in absolute control of the subsidiary. The arguments against reverse piercing include: (i) the traditional view that the parties must take the benefits of a separate legal personality with the burdens; and (ii) it may unsettle corporate creditors who expect their loans to be secured by corporate assets. In the authors’ view, the critical rationale for a strict adherence to the separate legal personality principle whether in traditional or reverse piercing is the reasonable expectations of all parties relating to a company. A shareholder expects to be shielded from liability. A creditor expects to deal with the company and not the shareholder. Thus, the creditor makes a deliberate choice to arrange his legal relations with the company. Accordingly, there should be no difference in the tests to be applied in determining whether to pierce the corporate veil as the same reasonable expectations of the parties need to be protected. Further, it is plausible that veil piercing is irrelevant to the alter ego argument. The alter ego argument could be analysed, inter alia, as merely an application of traditional agency principles (Yeo Hwee Ying and Ruth Yeo, “Revisiting the Alter Ego Exception in Corporate Veil Piercing” (2015) 27 SAcLJ 177, 196 at ; NEC Asia Pte Ltd v Picket & Rail Asia Pacific Pte Ltd  2 SLR 565 (HC) at ; Alwie at ; Prest). Thus, the company could be considered an agent for the controller (insofar as an agency relationship arises on the facts). To be clear, the House of Lords in Salomon v A Salomon & Co Ltd  AC 22 (HL) rejected the argument that the company was an agent or trustee of the shareholder, the point there was that a company per se cannot be treated as an agent or trustee of the shareholder; that does not preclude a finding that a company could be an agent of a shareholder in exceptional cases or specific scenarios if the requisites are fulfilled. On this analysis, whether it is traditional or reverse veil piercing, legal rights and obligations are parsed through the agency relationship, and there is no need to lift or pierce the corporate veil at all. A third party could therefore be held liable to a principal for losses caused to the principal’s assets managed by the agent. Conversely, a principal could be liable to a third party through the agent’s acts. An agency analysis would be useful because it eschews policy considerations of whether the separate legal personality principle should be applied. Instead, a fact-specific analysis as to the existence of an agency relationship would determine the relevant rights and obligations. On this analysis, a relevant issue would be whether the contractual terms expressly or impliedly preclude a principal from suing on the agent’s contract (see Tan Cheng Han, The Law of Agency (Academy Publishing, 2010) at 298-308). In this light, the court rightly noted at  that Koh cannot on the one hand rely on an alter ego plea (or as we submit, an agency argument) to bestow on himself locus standi to sue on the basis of SSL’s contract but disavow the contractual terms which restrict or exclude liability. The sum of the foregoing analyses is that the situations justifying reverse piercing (if at all possible) are very limited. If one subscribes to the analysis that alter ego is not a ground for piercing but merely an application of agency law, the only ground for piercing would thus be sham/façade. If so, it is questionable whether a controlling shareholder can rely on his own wrong, ie the sham/façade, to reverse pierce the corporate veil. This leaves the possibility of reverse piercing to be limited to situations where the sham/façade was not personally perpetrated by a shareholder, eg his nominee directors. This case has raised various interesting issues which were not addressed in the decision. Should it proceed to trial, it would be ripe for a Singapore court to clarify the law on these issues, especially in the light of UK developments post-Prest.